Posada Don Diego is proud to have more than 30 years of experience, serving with excellence since 1970. Managed and operated by the Martinez Lenahan family since 1979, Posada Don Diego is considered the first restraunt in the Vicente Guerrero area. 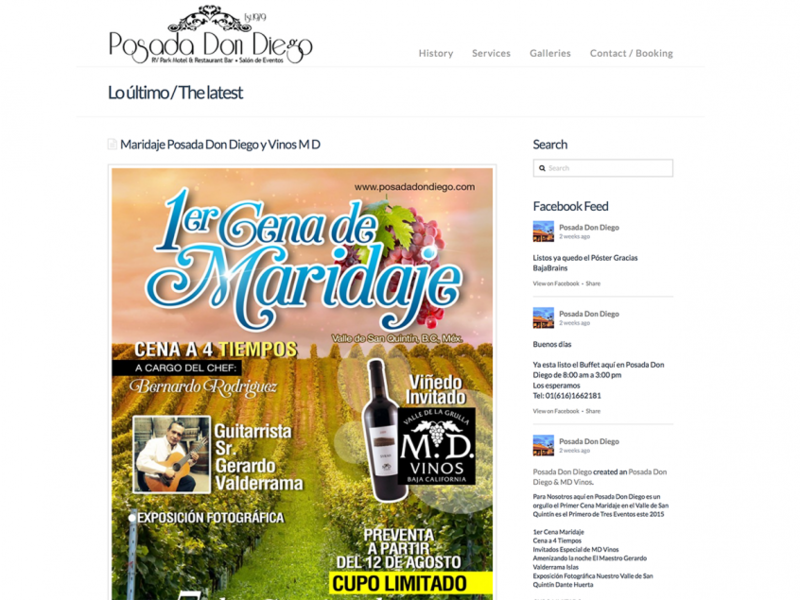 Having started with a total capacity of 45 seats, gradually upgrading and expanding as the clientele increased, Posada Don Diego now seats over 300 patrons, boasts an RV park, as well as a banquet hall and dorms. With the population in the surrounding area growing as new residents settled and developed the area, local demand increased, thanks to Don Diego quality and service. Posada Don Diego grew along with the local population.